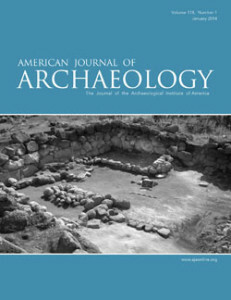 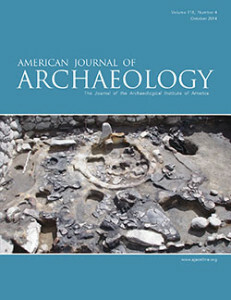 The Project ArAGATS crew must have very photogenic trenches – we are on the cover of the American Journal of Archaeology for the second time in 2014. 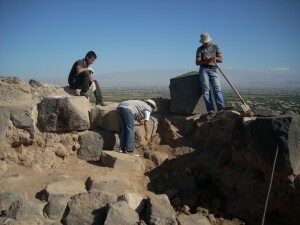 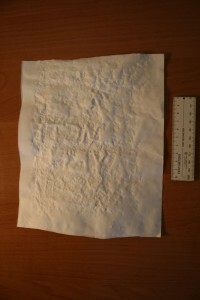 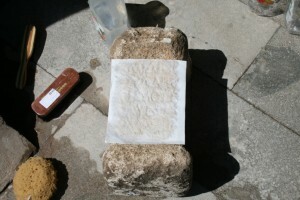 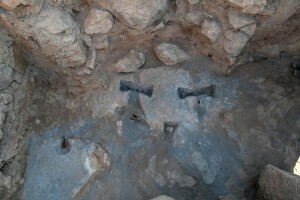 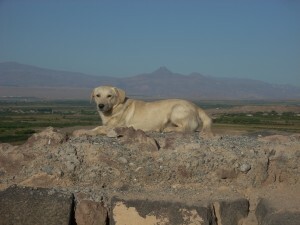 Last time, it was for a trench I excavated in 2011 at Tsaghkahovit, in the Iron Age complex. 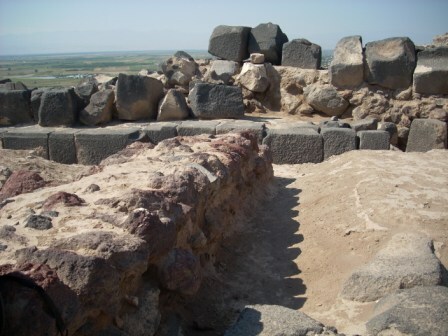 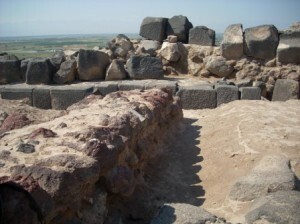 This time, it is a photo of a shrine area, one of many excavated at Gegharot, an Early and Late Bronze Age fortress on the flanks of the Pambak Mountains bounding the Tsaghkahovit Plain. 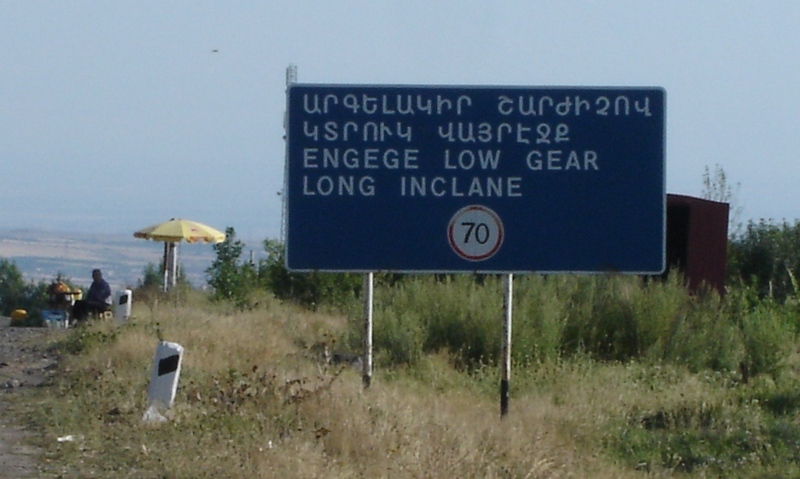 Project ArAGATS has been working in Armenia since 1998, making it one of the longest-running collaborative projects still working in Armenia. 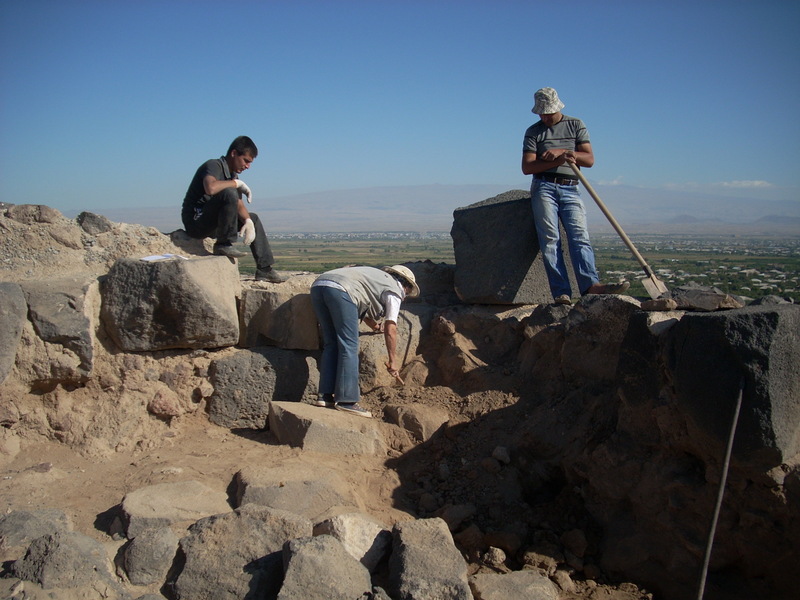 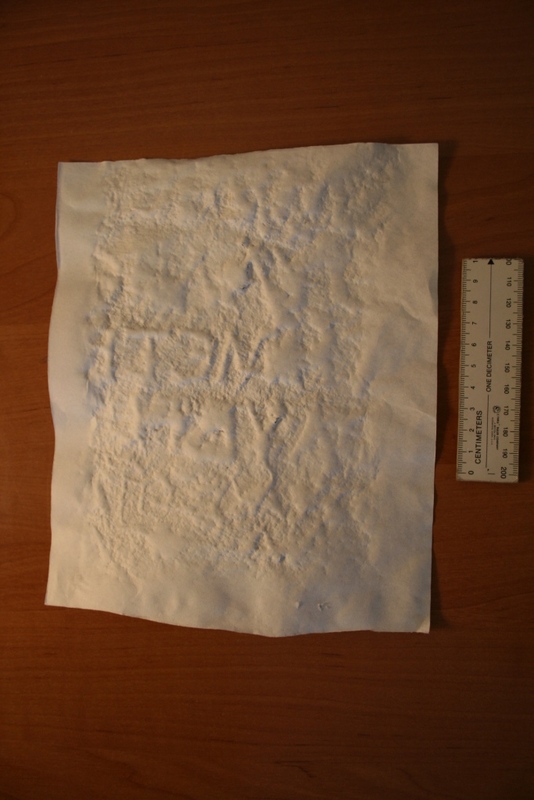 This entry was posted in Archaeology and tagged Archaeology, Armenia, Gegharot on October 5, 2014 by Elizabeth. I’ve lost track of on which day what happened, but here are some photos from the most recent day of ‘excavation,’ during which we began to take apart (by ‘take apart,’ I mean demolish w/ a sledgehammer) the Soviet-era military bunker. In more interesting archaeology, however, work continues on opening the paved temple courtyard. 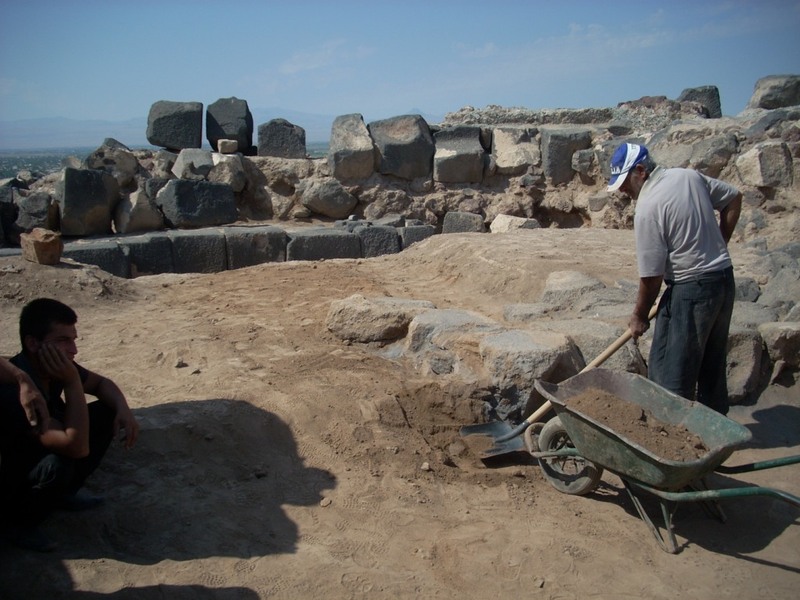 Evaluating which rocks need to be removed, as part of the courtyard-clearing process. 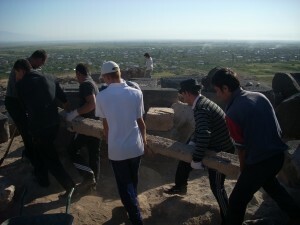 The dismantling includes chucking very heavy reinforced-concrete posts over the side of the mountain, into the backdirt. 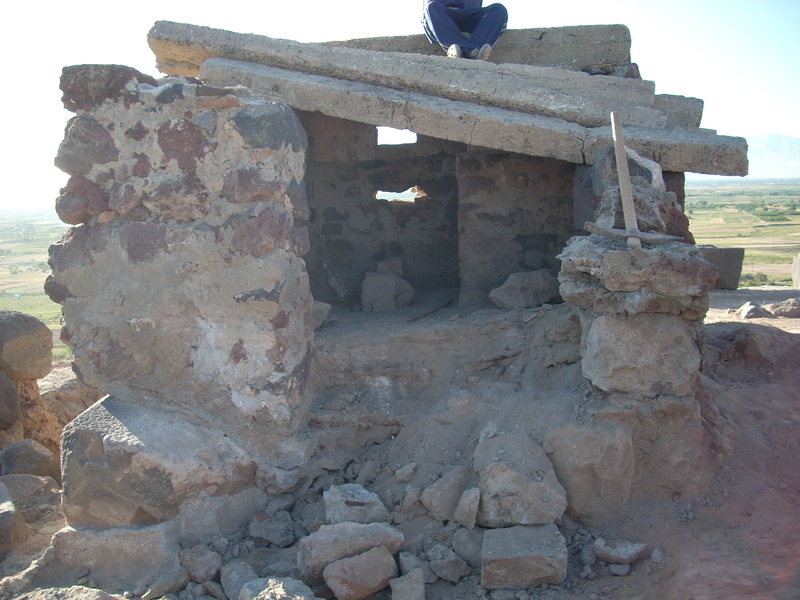 This entry was posted in Archaeology and tagged Archaeology, Demolition, Soviet period on September 14, 2011 by Elizabeth.